There's a place for the adventurous sportsman and recreationalist that engenders all the primal and ethereal attributes of a national park in a wilderness-like setting. In Madison County, Montana the setting is surrounded by glaciated, snow-capped mountain peaks, many over 10,000 feet, and photogenic wilderness views. The region is populated with many pristine mountain lakes with abundant trout fishing opportunities. This iconic property sits in the midst of a vast US Forest Service land mass. 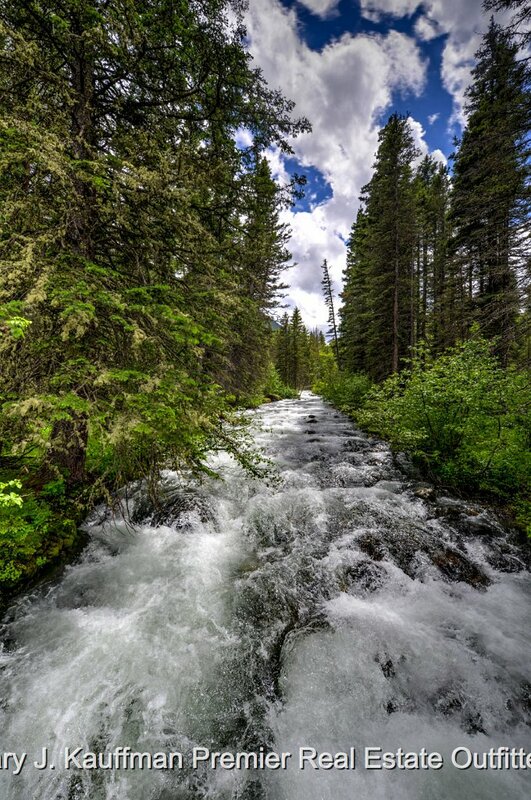 Entirely encompassed by Forest Service lands the Westphal Park Enclave is an enchanting combination of mountain meadows interspersed with rivulets and springs, thick stands of forest, and mountain side settings that have panoramic vistas in every direction. What's more this entirely unique and captivating property has over 3,000 feet of the South Boulder River flowing through the southeast portion of the property. The river is typical of mountain streams in that it is bubbling and falling, over and round the rock-strew bed making for an idyllic stream-side setting. The immediate area is designated as the Middle Mountain Management Area by the Beaverhead-Deer Lodge National Forest. You can see the management report with maps here. The area is identified on forest management maps as the Westphal Parks from which the name is adopted by the current owner. You can access the report here and here is another. 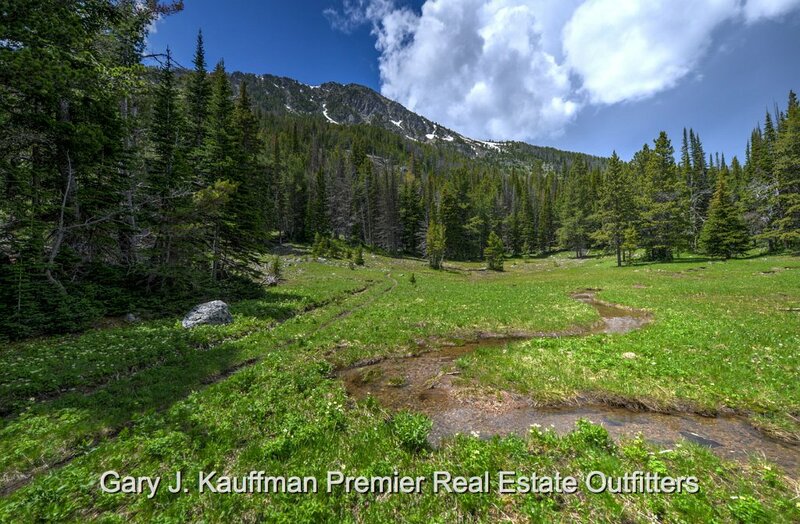 The property, according to the State data sources is prolific and potential habitat for bear, Grizzly and Black, Elk, Mule Deer, Mountain Lion, the largest Mountain Goat population in southwest Montana, Moose, grouse of various species, as well as various small mammals and mountain birds. The South Fork Boulder River offers both Brook Trout and Cutthroat Trout in in its upper reaches. The property consists of some 814 acres and is comprised of 15 parcels and you can see the property cards here. The condition of title transfer will be similar to this title report. The multiplicity of parcels may present the opportunity of restructuring the parcel layout, the layout is view able here, to one that would afford the owner of more beneficial ownership qualities by completing a boundary line adjustment without necessarily going through the process of a formal subdivision. If you have Google Earth you can download the KMZ file by clicking on the link in the earth icon to the right and view the property in Google Earth. The Tobacco Roots are rich with early history from the Legendary Lewis and Clark Expedition who cast distant visions upon the mountains to more recent pioneers and miners. The area was a source of gold from the 1880's to the 1930's and parts of the property includes several patented mining claims. This mesmerizing property presents the owner with the once in a lifetime opportunity to acquire, for a select few, an incredible retreat whether for summer or year round recreation, or mere seclusion from the rigors of a world gone wild opportunity. While off the grid the possibility for solar, hydro, wind and other power sources exists and water could merely be obtained from one of the many sources and treated for consumption with one of the inexpensive purification systems. Directions from various points of origination can be obtained from our interactive map accessed by clicking on the map icon to the right and then opening the fly-out legend for specific directions. Please refer to the links to the right to see additional photos, maps, and to download other resources. If the links return to this page we do not have media uploaded yet. Of course we welcome your call to get further information. Additional Information Resources Madison County Official Site, Wikipedia, and Here. Gary J. Kauffman is a licensed real estate broker in the States of Florida, Georgia, Maryland, Montana, Virginia, and Wyoming. In Pennsylvania he is an associate broker with Brandywine Fine Properties | Sotheby’s International Realty. In the states of Maryland, and Virginia the registered name is Gary J. Kauffman Real Estate. 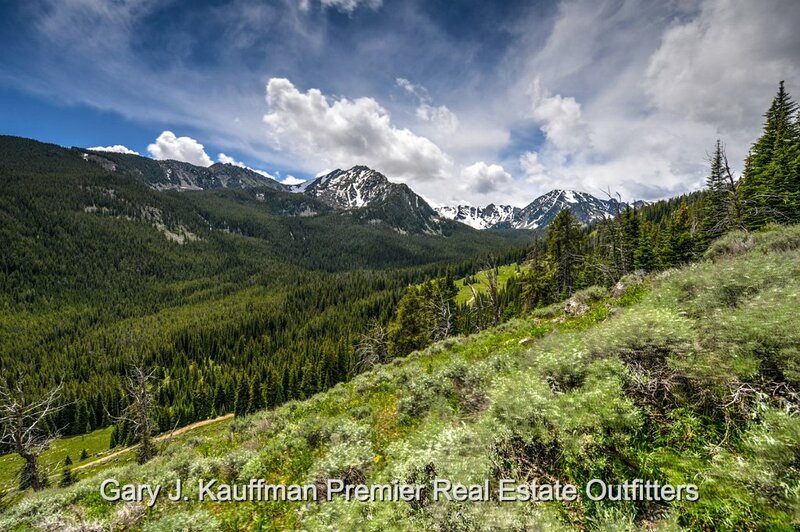 The registered name in Florida and Wyoming is Gary J. Kauffman Premier Real Estate Outfitters. The registered name in Georgia is Gary J. Kauffman Real Estate Outfitters. Mailing: P.O. Box 583 | West Glacier, Montana 59936 | Administrative Office: 759 Belton Stage Road, West Glacier, MT 59936 The data represented herein is based on data from public, private, and governmental sources. Among the sources is the Bright Regional Information Systems, Inc. Listings come from various MLS organizations and many brokers and not all listings may be visible on this website. The information is deemed reliable, but is not guaranteed. Some information is intended to aid in the visualization of features, boundaries, locations, and other attributes of the subject property. The offerings are subject to errors, omissions, changes, including price, or withdrawal without notice. All dimensions are approximate and have not been verified by the selling party and cannot be verified by us. While every effort has been made to accurately depict this data, it is ultimately the responsibility of the user of this information to verify its accuracy. It is recommended that you engage the services of relevant professionals, such as accountants, engineers, architects, attorneys, surveyors or other professionals, to confirm the representations contained herein. Gary J. Kauffman, Gary J. Kauffman Premier Real Estate OutfittersSM, Rocky Mountain Habitats Real EstateSM, and/or their affiliates make no representations whatsoever with regard to the accuracy of the information contained herein. In those states and territories that Gary J. Kauffman, and or its affiliates, is not a licensed real estate brokerage, sellers and buyers are referred out to our trusted network of brokers in those states. We have developed relationships with only the most qualified and capable brokers throughout our network to ensure that you get the attention and professionalism demanded by our marketing and management team.